How was your holiday, gaming-wise? What did you play, buy, and discard? Matt is a former editor of Gameplanet. If you're anything like me, the Christmas break is a time for frantic last-minute present shopping, excessive alcohol consumption, being worn down by various family members, and mad overeating. Fortunately, those things combined also make it the perfect time for extended periods of not moving much, and as doctors the world over say, if you aren't going to move much, you might as well jam some bloody games eh. As luck would have it, I had my flat mostly to myself for much of the break, and that meant I was able to game super, super late and subsequently loathe myself away from the judging eyes of others. Mostly, I played PlayerUnknown's Battlegrounds on Xbox One, which got Oceania servers as a Christmas present. It still lags horribly every now and then, and crashes are frequent, but it's a madly entertaining game anyway, and things will only improve as it ages in the oak barrels of Xbox Game Preview. I played a lot of Duo mode with Newshub's digital entertainment editor and all-round excellent dude Daniel Rutledge (#collusion), but my real holidays MVP was Xbox's seemingly underappreciated Family Sharing function, which allows you to play games registered to a single account on two Xboxes at once. That meant that with another Xbox and monitor set up in my lounge, I was able to jam PUBG with my cousin, both of us playing the same copy in the same room, within dead leg distance. We even got Gameplanet's Baz Macdonald along for some three-player same-room action, which is a phrase I hope no-one takes out of context. Fortnite's Battle Royale mode was one of my gaming obsessions in late 2017, so not surprisingly that saw a bit of action over the break as well. It's very easy to kill folks in Fortnite after you've spazzed it up in the zero aim-assist wilds of PUBG for a while – it actually feels like you have cheats enabled. Even so, I've come very close but never managed to win a round of Fortnite, but I have chicken dinner'd it up in PUBG, which is weird given how poor my aim is. Keeping with the co-op theme, I jammed some Castle Crashers Remastered which even in its dolled-up state remains an exceedingly grind-y but entertaining brawler. I then tried to play Aussie puzzler Death Squared with three people, which is the exact number between one and four that the game does not support. We managed to finish the first level by using our avatars to push around the absent fourth player, but that was about it. Retro game-wise, NBA Jam and Streets of Rage featured for a day at GPHQ, but the rage was all confined to the former, because once you learn how to shove (and how to command your AI teammate to shove), it more closely resembles a super frustrating PvP brawler that just happens to take place on a basketball court. Finally for multiplayer video games, I cranked some Trials Fusion, which is great and very noob-friendly, and some DropMix, which is surprisingly fun – if you are my niece and nephew's age, at least. My rule for playing games over Christmas while the sun was out was that they had to be social, but thanks to the odd grey day (okay fine, it was still brilliant sun), I managed to play some Firewatch, and some of a little-known cult title called Grand Theft Auto 5. I managed to resist the inevitable Christmas Steam Sale, but I did pick up Nex Machina, Superhot VR, Invisible Inc., Soma, and The Talos Principle on PS4, and Watch Dogs 2 and Dying Light: The Following on Xbox One. I had four of those games on PC already, so I guess I just love burning money (or have accepted I prefer sitting on a couch to game – one or the other). One game I failed to play despite best intentions was NBA 2K18. One game I have failed to play for long enough that it got uninstalled was Deus Ex: Mankind Divided. Thanks to the number of geeks I know here in Wellington, I managed a bit of unplugged/cardboard gaming as well. Monikers is always a hit when we play it, and it scales well for groups any size above six. It's like souped-up, meme-heavy, team-based charades, but it is actually bearable because you get to see or hear all the answers twice before any actual charade-ing takes place. Trust me, it's hilarious, even if the prospect of miming "The Doof Warrior" or "Manic Pixie Dream Girl" fills you with dread. We also managed to get together two crews of four for Battleships-on-steroids stress-a-thon Captain Sonar. 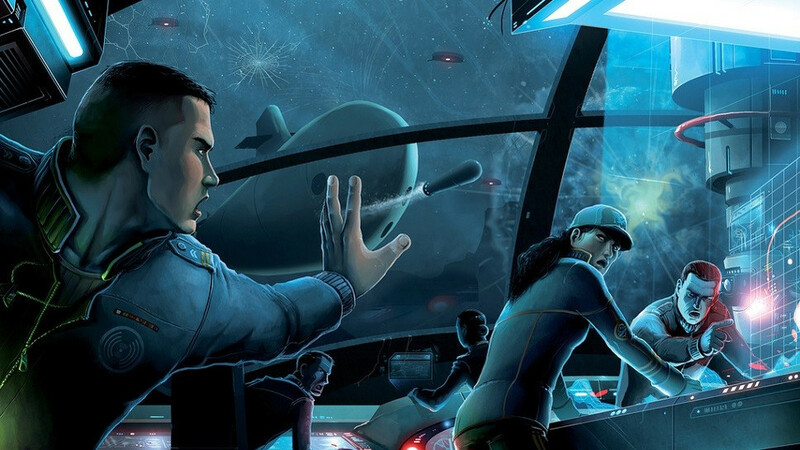 The game pits two submarines against one another, and each player has a distinct role to oversee, such as navigation, weapons prep, or enemy tracking. Communication is paramount, but you don't want to say too much, because your enemies are just across the table, partly obscured by a divider. It's maddening enough in turn-based mode, but there's a real-time mode for masochists that will 100% start fistfights. Another great board game for larger groups is Deception: Murder in Hong Kong, a social deduction / 'identify who is lying' game along the lines of Werewolf, Secret Hitler, and The Resistance. However, unlike those games, Deception is extremely easy to grasp thanks to a number of clever mechanics, alongside its reliance on clue cards rather than player memory. It's highly recommended, even for board game newcomers. Elsewhere, Codenames Pictures is a fun game for mid-size groups (we played with six). Two teams each elect a clue-giver, whose job it is to get their team to select the picture cards in play that belong to them. Clues can only be one word, so while it's simple to be very specific and get single cards picked out from the 20 on display, getting multiple cards selected on one turn is the only way to really be competitive. However, the esoteric and often bizarre card illustrations turn Codenames Pictures into a game of "which one word tangentially refers to all of these cards?" for clue-givers, and "how does our clue-giver's brain function?" for their team. It's a lovely quieter game for the end of a marathon gaming session. The only board game I bought was the Warring Colonies expansion for (mostly) co-op survival game Dead of Winter. Dead of Winter has been a perennial favourite of ours, and we often have more players than it can cope with, so I'm intrigued to see how Warring Colonies works with a group of up to 11(!). ◆ What did you play, buy, or give up on over the break? Let us know in the comments below!